Established in 1958, Hup Seng Perusahaan Makanan (M) Sdn. Bhd. are a leading crackers, cookies, biscuits and other confectionary food manufacturer in Malaysia. Quality is Hup Seng’s philosophy. Over the years Hup Seng has achieved a number of certifications and awards for stringent quality control and food safety. These include, but not limited to ISO9001, ISO22000, HACCP and BRC Global Standard. 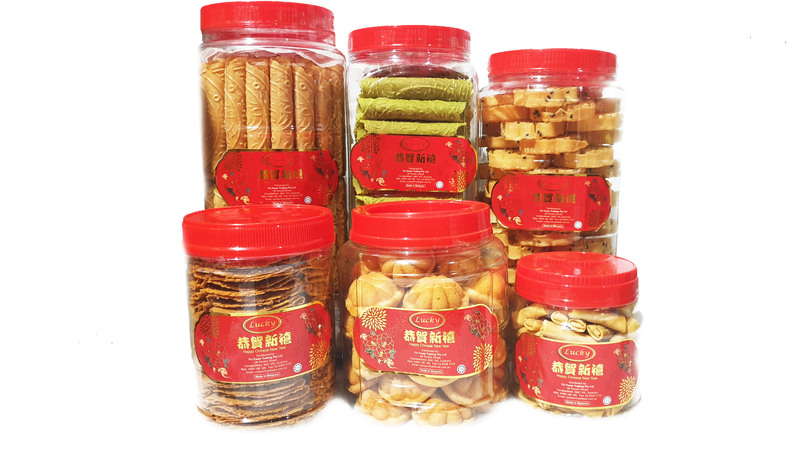 Hup Seng offers a wide range of products which include their widely known cream crackers and sugar crackers. Adeq Sue was formally established in 2014 and are producers of authentic Malaysian sauces. AdeqSue is focused on delivering instant pastes and sauces with the aim to make authentic meals fast and easy. AdeqSue offers a wide range of products which include traditional sambal belacan, grilled fish pastes and anchovy sauce. Just as how everyone wishes to start a new year with luck, our Lucky brand is comprised of authentic Nyonya style Lunar New Year cookies and delicacies. Our traditional handmade Lunar New Year delicacies utilise traditional methods to ensure quality and authenticity. ‘Lao Zi Hao’ is an original line of products that aims to deliver the best flavours of ready to eat products from South East Asia. Through the intricate selection of the finest ingredients and the stringent control processes put in place when producing the products, we can ensure that any purchase of the ‘Lao Zi Hao’ brand would deliver maximum satisfaction. Our continual growth and serviceability to all aspects of the food industry has enabled us to carry a wide range of major brands from many international brands.